Just a reminder that this blog location has moved to aprildeconick.com. The blogger location will be deleted on May 17. We will have a party! To read my post on this, go to aprildeconick.com where my blog has moved. You can also resubscribe there. You will be taken there in 5 seconds. This post is written on aprildeconick.com. You will be taken to the new location of my blog in 5 seconds. Please resubscribe there to continue to receive uninterrupted service. 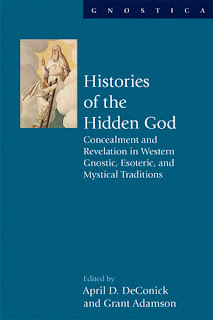 Forbidden Gospels has moved to aprildeconick.com. You will be transferred there in 5 seconds where I have just posted on the noetic and numinal realities. 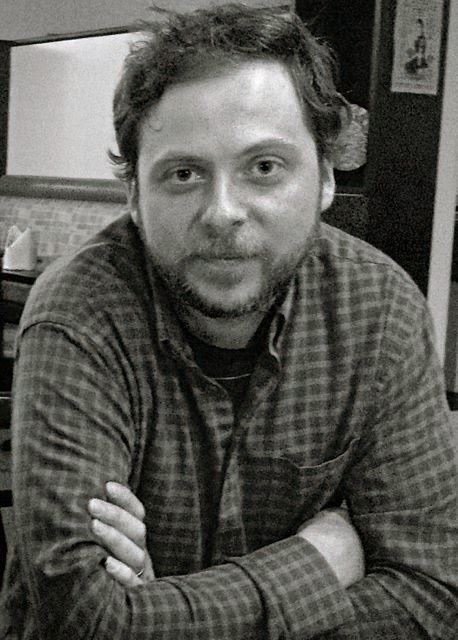 Go to aprildeconick.com to read about Grant Adamson who just received his Ph.D. You will automatically be forwarded to the new address where you can subscribe to continue to receive my new posts. Well I finally made the decision to integrate the Forbidden Gospels blog into my personal website. You will automatically be redirected to the location of the Forbidden Gospels blog in 5 seconds. If you are a subscriber, please change the address to www.aprildeconick.com. More information about the performance can be found HERE in the Houston Chronicle. What do we do with religious experience? Jeff Kripal, "Visions of the Impossible"
Jeff Kripal, "Embracing the Unexplained 2"
Jerry Coyne, "Science is Being Bashed by Academics Who Should Know Better"
Barbara Ehrenreich, "A Rationalist's Mystical Moment"
Ross Douthat, "How to Study the Numinous"
For my entire career I have been studying the written records of ancient religious people about their experiences of the divine. Historians have typically shied away from penetrating these descriptions of ecstasy because, heck, what are you supposed to do with ecstasy, especially in a modern world where God is (supposedly) dead and reality has been restricted to what we can observe and verify about the material universe? 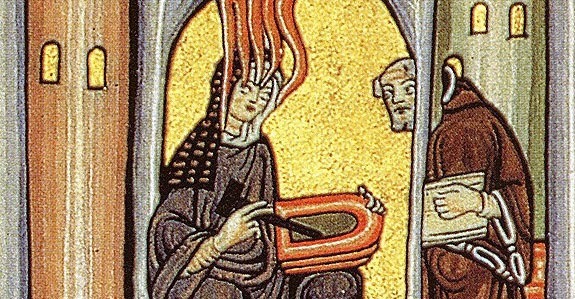 Usually these ecstatic events reported in the ancient texts I study are declared by historians of religion to be hallucinatory or exegetical - either a record of a psychotic episode or a form of imaginative plagiarism where a person copies old texts about ecstatic experiences and gives them a new context. Or, did I fail to mention it?, a trip on drugs. I have always been frustrated with this paradigm because it fails on so many levels. 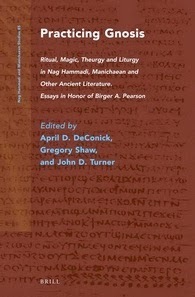 First, the ecstatic experiences I study in early Christian and Gnostic texts are more often than not connected to ritual and body-mind practices. In other words, the ecstatic experience has a religious context that is lived. People are doing things to prompt or achieve these states, to make them accessible to more people than those who have the occasional rapture experience, when ecstasy comes unbidden. 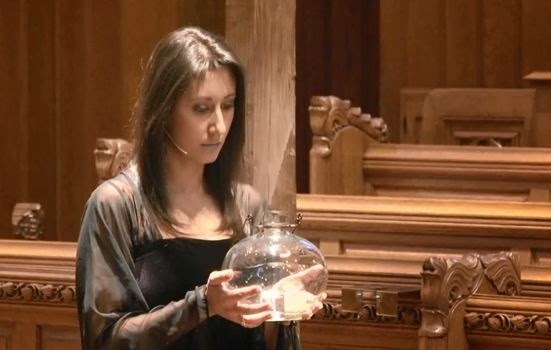 These religious practices are not about trying to have psychotic hallucinations. Nor are these practices about the ingestion of drugs, although there are plenty examples of religious ceremonies that use drugs to induce ecstasy. I think it is fair to say that religions have become very good at developing certain practices to prompt experiences that people perceive to be religious, to be ecstatic and often unitive. Second, the brain is involved in a major way, as it should be. The brain is involved in all of our typical forms of consciousness whether we are talking about being awake and alert, being in REM dream sleep, or deep sleep. Why shouldn't it also be implemented in ecstasy? Cognitive scientists have a very good idea now about the brain circuit involved when people are having ecstatic experiences. They have a very good idea about the shifts in serotonin and dopamine levels that take place in brains when people are having ecstatic experiences. They also have a very good idea about how the autonomic nervous system shows signs of being hyperstimulated when people are having ecstatic experiences. So the scientific lab has been revealing important information to us about the physical platform of ecstasy. Some people want to leave the religious experience here, reducing it to neurons firing in a circuit, as if this explains the experience. But if we are honest with ourselves, we know that this reduction doesn't explain the experience and its reality, anymore than this type of reduction explains our experience of the color red, or our experience of a glass of wine, or our experience of love for another person (and not someone else). Where does this leave us? It leaves us with the reality of ecstasy as a form of consciousness that involves specific areas of the brain. It is a form of consciousness that a large portion of the human population experiences, even without drugs. How do we evaluate this form of consciousness given its subjective nature? People generally frame the answer as either a reference to a reality "out there" that is being experienced, or a reality that we have constructed inside our heads. In the first case, the brain is thought to work like a filter or a gateway through which another reality is tapped. In the second case, the brain is thought to construct the reality as its own personal fantasy. I wonder if there might be a third option. When we consider the human acquisition of language, we know how much this acquisition transformed our reality as a species. Our ability to create and use language opened up for us realities that we could never have perceived had we continued being restricted to making a few animal sounds and following our instincts. Our brain made it possible for us to talk and think using language, and reality got a whole lot bigger for us because of this. Might the same thing be going on with ecstatic states of consciousness? Is our brain circuitry making it possible for us to expand our reality yet again? 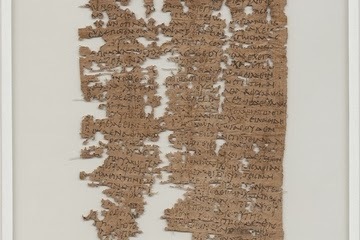 It is very exciting news that the scientific tests have come back with a thumbs up for the antiquity of the papyrus fragment that mentions Jesus' wife and her discipleship. The fragment is now dated between the 4th and 8th centuries according to the latest reports. When it first came out, I suggested that it was a fragment indicative of Valentinian Gnostic theology where Jesus and Mary Magdalene were spouses, and she was his disciple. I see no reason to alter this opinion now that the reports have come back on the document's antiquity. There is more to read about this in the New York Times HERE. 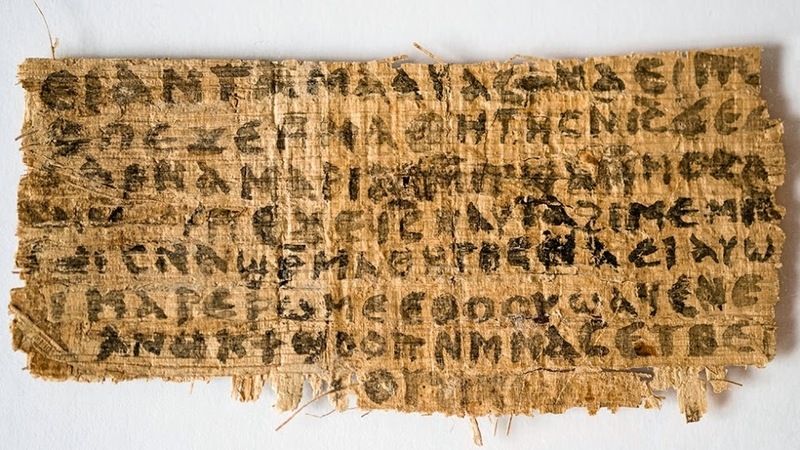 Now that its antiquity has been authenticated, Karen King's article on the Gospel of Jesus' Wife is finally being released in the Harvard Theological Review HERE. This whole "event" has impressed upon me again the problems that we have with our traditional forms of biblical analysis which rely on outdated concepts of "sources" and "redaction" and "dependence." It brings home that we should be cautious and humble about what we can really know and what we can't. Sometimes history can surprise us. I am very proud of Franklin Trammell, my first student to finish his thesis and graduate from the Bible and Beyond program at Rice. Yesterday he defended his dissertation on the Shepherd of Hermas. His thesis is called (Re)growing the Tree: Early Christian Mysticism, Angelomorphic Identity, and the Shepherd of Hermas. He has illuminated the religious landscape of Roman Christianity, reconstructing a very old form of Christianity that is not only mystically-oriented, but from Jerusalem. He has done what no one has been able to do. Outstanding. Congratulations Dr. Trammell! It is a great story that you can read HERE. Photo is reproduced from the Live Science. 3. 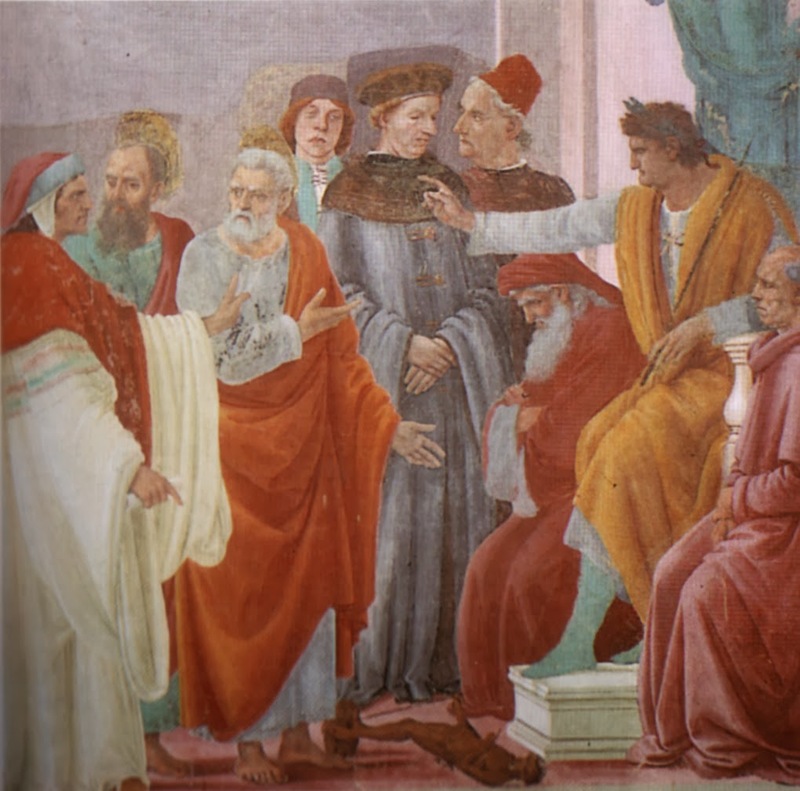 The consequence of their form of religiosity was enormous, as I am writing about now in The Ancient New Age, where I argue that Gnostic spirituality which emerged in antiquity has won the day and now forms the basis of modern American religion. The book will be published with Columbia University Press. So the book comes out of the first international GEM conference. Histories of the Hidden God: Concealment and Revelation in Western Gnostic, Esoteric, and Mystical Traditions, edited by myself and Grant Adamson. This is the volume in which I have published my paper on the Ophian Diagram, and I am particularly proud of it because I believe that I have actually solved its mystery.